As you all know by now, I am a big supporter of prepping your meals to save you time during your busiest days. You may have noticed this busy girl trick has found itself in the spotlight as the latest “trend” the media is promoting. But how do we really make the most out of our prep time? How do we stay efficient, healthy, and gain more than just a nice picture for Instagram? Let’s go beyond the Meal Prep Craze and look at ways to make this time saving trick a life saver for a healthy eater on the go. 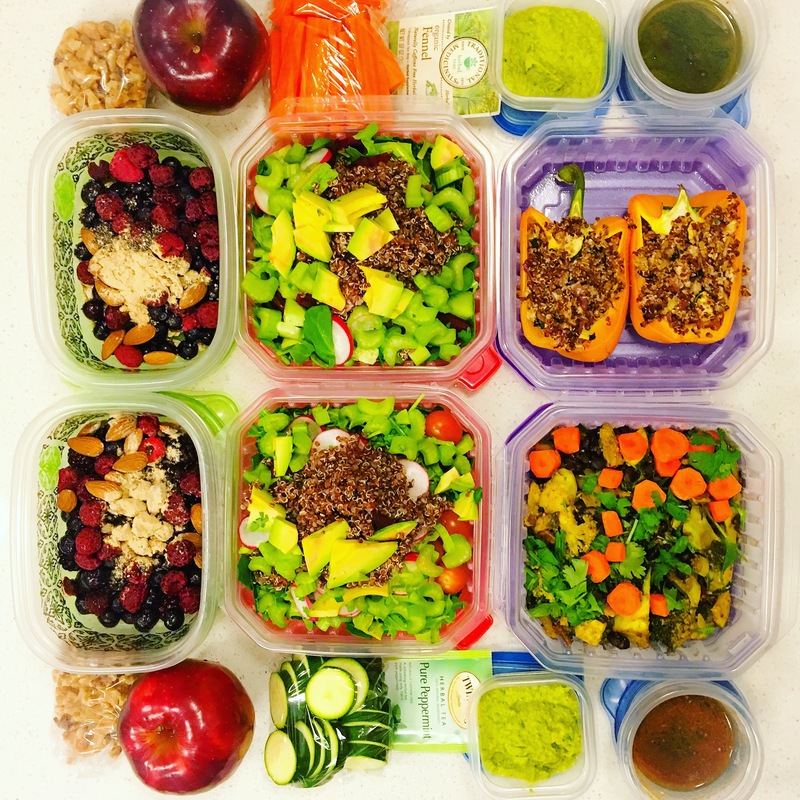 Read further to learn my meal prep hacks: 5 tips you need to know! Don’t get overwhelmed! If you are new to meal prepping (or even if you are a seasoned veteran), it can sometimes seem like a daunting task to plan out and prepare at once for all three meals a day for a whole week. 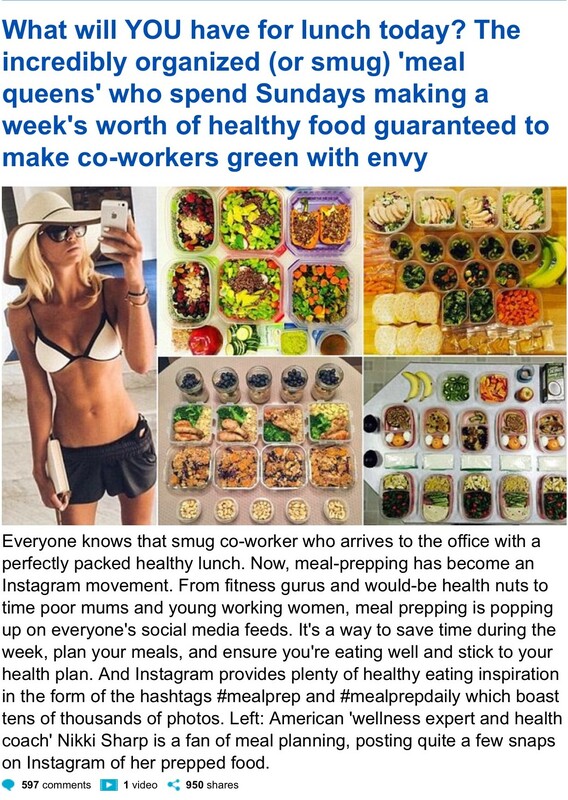 Last week, I was featured in Daily Mail UK as one of the “meal queens” of Instagram alongside numerous photos of prepped and planned meals. I love the publicity the healthy eating trick is getting, but I never want anyone to feel overwhelmed by those highly organized preps! Don’t be afraid to start small. One or two recipes for just 2-3 days can make a huge difference in saving you time for the week. Sticking to recipes you have made before can also cut down on your prep time significantly. That way you are a pro to the prep and don’t have to worry about any unforeseen surprises. Look realistically at your week. Choose which meals would make the biggest difference and pass over the meals where you might not eat what you have prepared. If you know you will have a luncheon on Tuesday where you would rather eat the provided food, skip that prep so no food goes to waste. If you know you are always running out the door without time for a healthy breakfast, make that your focus. 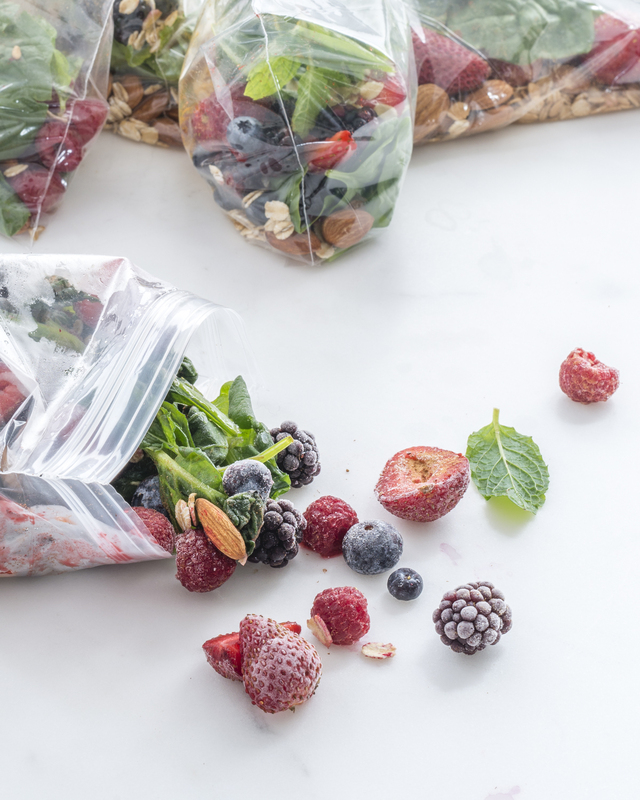 One pointer you will read about in my book, The 5 Day Real Food Detox, is that you can save even more time in the mornings by pre-portioning out baggies full of smoothie ingredients in a Ziploc baggy and popping them in the freezer. All that’s left for your morning is dropping the contents and water in the blender and pouring the healthy goodness into a to-go cup if you need to hit the road! Focus on little tips like this to make your life a little easier. Don’t forget about your snacks! Often, even veteran meal preppers will overlook prepping their snacks. Most grab-and-go snacks you can buy in stores are some of the unhealthiest options for your body. These snacks are often packaged, processed food-like-products that will make you feel less hungry for a short time but do not provide proper nutrients and put a ton of harsh chemicals into your body. Portioning out your healthy snacks ahead of time will prevent you from mindlessly overeating or grabbing a quick option that your body will regret later. I love taking my hummus from the Detox and portioning it out in 5 containers and veggie sticks into small baggies so that each day I can just grab and go. Have a variety of containers for your meal prep. If you will be traveling with your meals, even just to work, you want to make sure you have quality, leak-proof and air-tight containers so you don’t end up with a mess. Don’t forget about those small containers too; they are perfect for both your snacks and your salad dressing. No one wants that beautiful, delicious salad you prepared to get soggy with dressing! If you are making your dressing from scratch, save yourself some serious time and aggravation by making one batch and dividing it into small containers to add to your salad when you’re ready to chow down. Those snack size Ziploc bags will also help you to measure out the perfect, ready-to-eat portions of your seeds, nuts, and other snacks. Don’t let yourself get bored! Yes, it definitely saves time to prepare 3 of the exact same dishes as you prep. That doesn’t mean they have to taste the same! Try mixing up the seasoning blends and spices you have on each dish to create a unique flavor. Get creative here! There are so many healthy herbs and spices that can perk up your taste buds and help you to reduce your salt intake as well. Now you’re ready to get out there and conquer the meal prep. The bottom line is that there is no wrong way to do it! Planning ahead is sure to save you time and help you stay on track towards a healthier happier you! 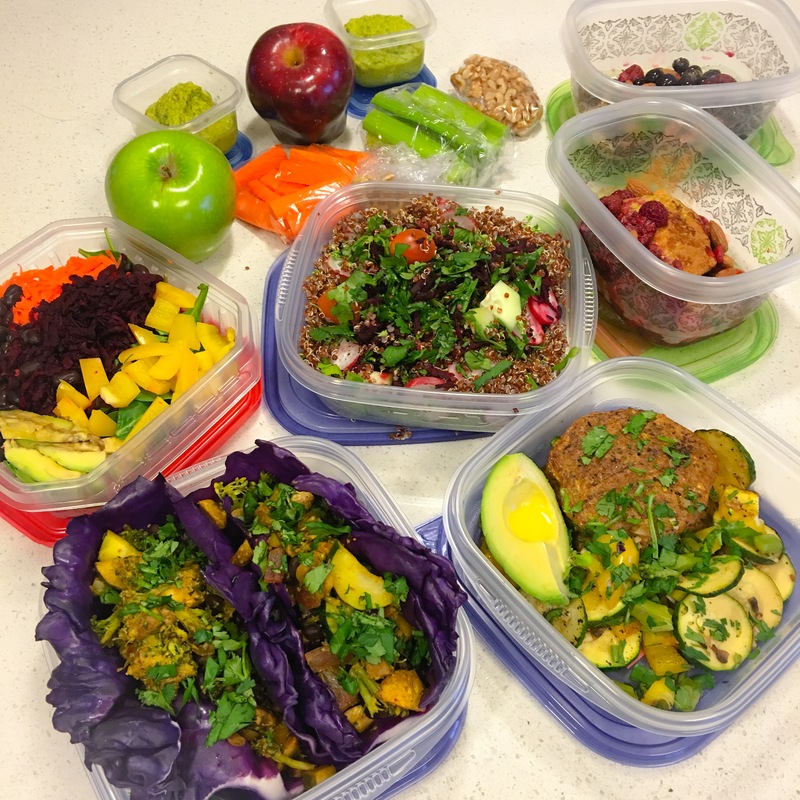 Check out the video below of one of my meal preps from Business Insider and Insider Foods and let me know what you think! Don’t forget to preorder my book to get more great tips and delicious recipes to prep for the Detox and a healthy lifestyle. Shouldn’t we be careful of using plastic containers, especially keeping food in it for several days? I would definitely invest in some glass containers as keeping food for days in plastic can defeat the purpose of staying healthy.. plastic leaks into the food.. Yes, plastic is not as good as glass however I like to give options. These tips have been really helpful! I need to invest in some new containers and even a cloth or plastic type bag to keep everything in for easy transportation! Great tips! Planning out your meals really does help you to eat healthier and keep you energized throughout your day. Thanks for sharing! Join the 30-Day Sharp Challenge!